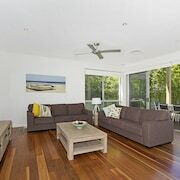 Close to shops, short drive to Kingscliffe which is such a lovely little town, and Casuarina. 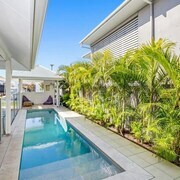 Located between Kingscliff and Casuarina. 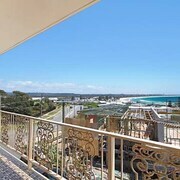 There are also good resturants and a pub onsite and more nearby at kingscliff and cabarita. 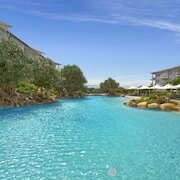 Our families and our 15 month old grandson had a wonderful time exploring the sand by the pool, walking to Kingscliff for breakfast and lunch at the new Taverna Restaurant which was excellent. 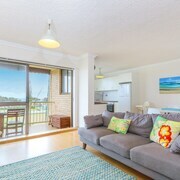 Second stay here and my husband and I love Kingscliff. Mantra needs to have a better room service menu, microwave meals is not to standard. 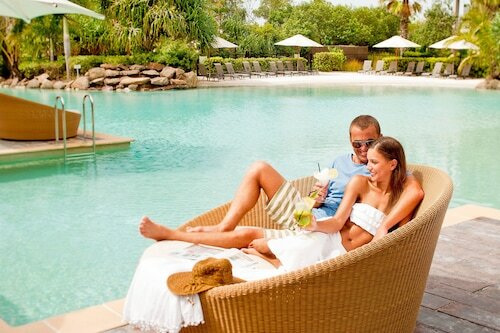 Which hotels are closest to the Kingscliff airport? 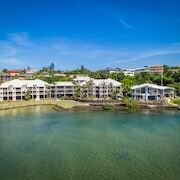 Where to stay near top Kingscliff attractions? What kind of hotels are in Kingscliff? 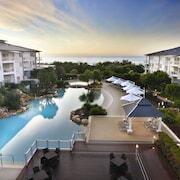 Which hotel chains are in Kingscliff? Families will find kid-friendly activities in Kingscliff, and visitors give high marks for the beaches and top-notch restaurants. Relaxing and welcoming, this city attracts tourists with its spas and shopping. A favorite place to visit in the city is Kingscliff War Memorial. You'll also find Coolangatta and Tweed Heads Golf Club and Fingal Lighthouse in the area. 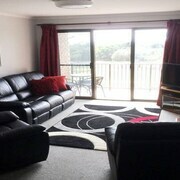 Sunrise Cove Holiday Apartments - With a stay at this 4-star apartment, guests can enjoy access to an outdoor pool and free parking, along with an in-room kitchen. It's a favorite with Expedia travelers for its beach locale and overall value. Peppers Salt Resort & Spa - Our customers like the family-friendly amenities and bar at this hotel. This 4.5-star hotel features 2 outdoor pools, a full-service spa, and a restaurant. Mantra on Salt Beach - With a stay at this 4.5-star resort, guests can enjoy access to a restaurant and an outdoor pool, along with a private balcony. Expedia customers like its beach locale and convenient parking. 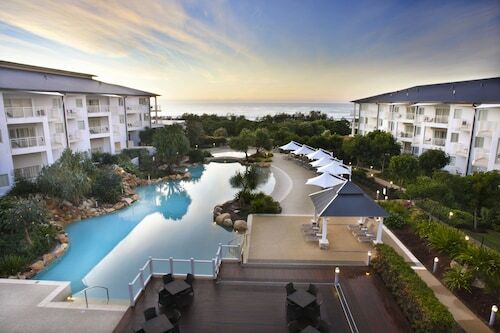 The pretty coastal town of Kingscliff in New South Wales is an attractive destination for a beach or gourmet holiday. 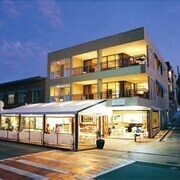 Its main street, Marine Parade, is peppered with excellent cafés, shops, and accommodation. The golden beaches offer myriad beach activities, ranging from surfing and fishing to diving in the nearby Cook Islands. Stroll to Fingal Head Lighthouse lookout, watch the dolphins from Point Danger, or visit the Minjungbal Aboriginal Cultural Centre for its art gallery and gift shop. Noteworthy destinations within an hours drive include a visit to Tropical Fruit World, a climb up Mount Warning, or a visit to one of the many theme parks the Gold Coast has to offer. 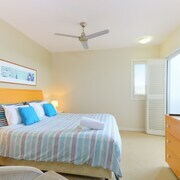 Kingscliff accommodation is centred on Marine Parade, which runs along the shore. 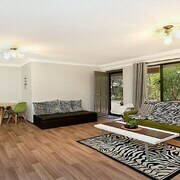 Find plenty of apartments and some attractive motels here, or opt for a cheap cabin at one of two holiday parks. Three luxurious resorts are situated just south of the town centre. 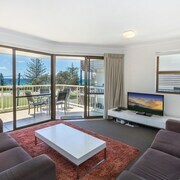 Whether you are looking for a beach hotel or a comfortable apartment, accommodation in Kingscliff won’t disappoint you. 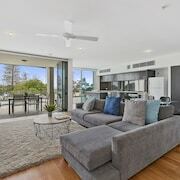 Kingscliff is located 15 minutes south by car from Gold Coast Airport (OOL) on Pacific Motorway. 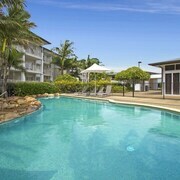 Rent a car from us at Expedia.com.au or take a Surfside bus to get to Kingscliff. If you arrive at Brisbane International Airport (BNE), Pacific Motorway will bring you to Kingscliff within an hour. From Brisbane, you can also take the Airtrain to Gold Coast and catch a bus from there. 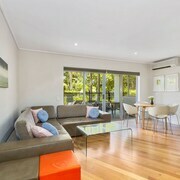 Book your Kingscliff holiday accommodation here at Expedia.com.au today. 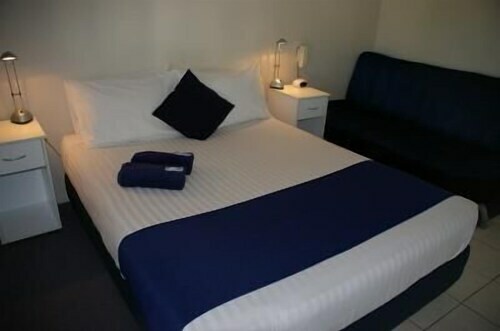 We offer the best selection of Kingscliff hotels and have great deals on rental cars and flights. Remember, we never add a booking fee so you can save money on holiday packages. 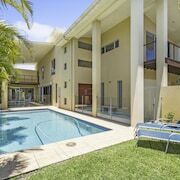 Kingscliff will delight you with its proximity to all attractions of the Gold Coast, without the crowds. 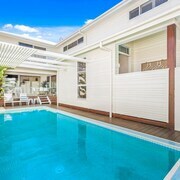 What are the most popular hotels in Kingscliff? 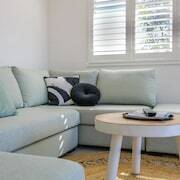 Are there hotels in cities near Kingscliff? 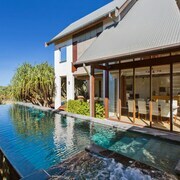 Explore Kingscliff with Expedia.com.au’s Travel Guides to find the best flights, cars, holiday packages and more!